Assemblymember Jim Frazier (D-Discovery Bay), chair of the Legislature’s Delta Caucus, released the following statement today concerning the Joint Legislative Budget Committee’s Hearing on proposals to extend the State Water Project contracts. This week, the Congressmen sent a joint message to the Acting Administrator for the Environmental Protection Agency (EPA), urging him to enforce the requirement in the Clean Water Act that water quality criteria be supported by “rigorous, sound science.” The EPA has notified the Board that the science supporting Phase I of the Water Quality Control Plan for the Bay-Delta (WQCP) is deficient. This is just the latest action by the Valley Congressmen, who have been working in a bipartisan fashion to help protect Valley water. Last month, the members sent a strong message to the Chair of California’s State Water Resources Control Board, Felicia Marcus, stating they would intervene if the Board took action that interfered with water projects or processes managed by the U.S. Bureau of Reclamation, including the Central Valley Project, the New Melones Dam, and the water rights permits for the State Water Project. Last week, the members called on U.S. Speaker of the House Paul Ryan to prioritize a provision in this year’s Department of Interior appropriations bill that will prevent federal dollars from being used to implement the WQCP. Congressmen Denham and Costa spearheaded the provision in the House’s version of the spending bill, which passed the House on July 18th. Senator Dianne Feinstein (D-Calif.), ranking member of the Energy and Water Development Appropriations Subcommittee, today announced Senate passage of the 2019 Energy and Water Development, Military Construction and Veterans Affairs, and Legislative Branch appropriations bills. “This first government funding bill for FY 2019 is a big win for California. It makes important investments in veterans, water infrastructure, drought prevention, earthquake preparedness and clean energy alternatives to help combat climate change,” Feinstein said. The funding bill included a number of policy priorities that will help California. “This is the third year in a row that California will benefit from additional drought funding we secured under the WIIN Act, increasing total federal funding for drought resiliency in California and other Western states to more than $500 million over the past three years,” Feinstein said. “This increased funding will allow the federal government to match our state’s efforts through Proposition 1 to finally build new projects to store more water from the wet years for the dry years. This is particularly important as climate change continues to increase the frequency and severity of droughts. 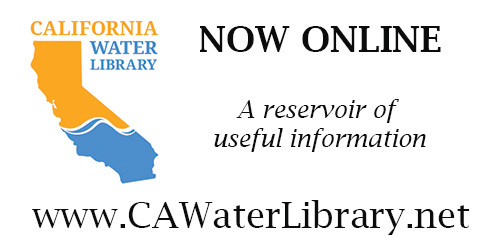 Provides an additional $196 million to fund California and Western drought programs under the WIIN Act, including $134 million for water storage, $20 million for water recycling, $12 million for desalination and $30 million for environment and science projects. 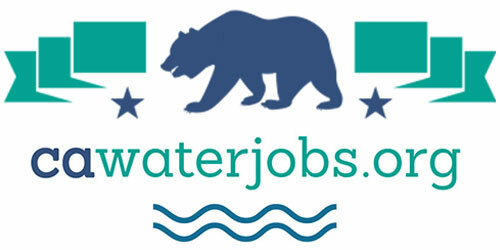 Provides $540 million for Army Corps of Engineers and Bureau of Reclamation water infrastructure programs specifically in California. Provides $34 million for WaterSMART grants and almost $59 million for the Title XVI Water Reclamation and Reuse program. 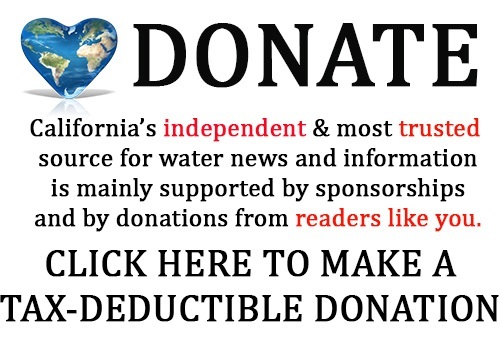 Increases funding for desalination research and development by almost 35 percent. 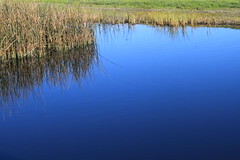 Provides $35 million for the San Joaquin River Restoration project. Requires an independent risk analysis of Oroville Dam and an extensive review of all federal dam safety practices. Provides $8 million, a 45 percent increase from last year, for improved research, monitoring, and forecasting of atmospheric river storms, which contribute an increasingly large share of California’s annual rainfall. The package of funding bills also includes additional federal dollars to help veterans. “This bill helps address one of the biggest issues facing California veterans: homelessness,” Feinstein said. “The 2018 Point-in-Time Count identified nearly 4,000 homeless veterans living in Los Angeles County alone, a 75 percent increase over the last six years. Our bill will help veterans throughout California find the shelter and care they need. Includes new language prioritizing veteran homelessness in Los Angeles and directs the VA to work more closely with local non-profit groups to ensure that homeless veterans are receiving the services they need. Requires the VA to address the lack of affordable housing on veteran homelessness, particularly in high cost urban areas. Provides $867.5 million for military construction projects in California. Provides $1.15 billion for a new VA seismic safety initiative to address VA’s highest priority facilities in need of seismic repairs and upgrades. The department has identified needed seismic upgrades at VA facilities in West Los Angeles, San Francisco and Menlo Park that could be funded under this new initiative. California Ports: The bill provides $50 million for ports like Los Angeles and Long Beach that get shortchanged by the current disbursement formula of the Harbor Maintenance Trust Fund. Energy Efficiency and Renewable Energy Programs: The bill provides $2.4 billion for energy efficiency and renewable energy programs. This funding supports sustainable transportation programs that develop new fuels, lightweight materials, and vehicle engines; energy efficiency programs that develop standards and technologies to reduce energy bills; and renewable energy programs that work to lower the cost of solar, wind, geothermal, and water power technologies. Basic Scientific Research: The bill provides $6.6 billion for the Office of Science, $365 million more than last year. Nearly all Office of Science programs see significant increases, and the bill fully funds the requested operational levels of scientific facilities at the national laboratories. Environmental Cleanup: The bill provides nearly $7.2 billion for cleanup of Cold War and other nuclear sites. This program addresses a legacy of radioactive and hazardous contamination at sites across the country and the bill addresses many of the highest environmental risks posed by these sites.